Surprisingly this low cost microphone has a rich and warm sound. It has a 10dB pad and a Bass Cut switch. Great on vocals and a wide range of instruments. 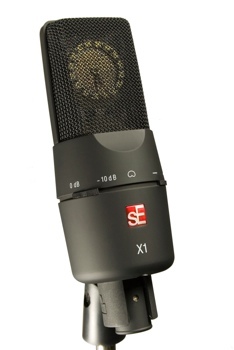 An interesting thing about this microphone is that the outside of it has a black rubber coating that makes it more durable and less resistant to scratches and dings. It retails for around $200. For more info visit SE here. I actually just bought this mic and it is not bad.